Keto Russian Dressing is a key ingredient in our Keto Reuben Bagel. This spicy, tangy dressing is a great condiment recipe to have on hand, as it’s free from sugar and nasty fillers. 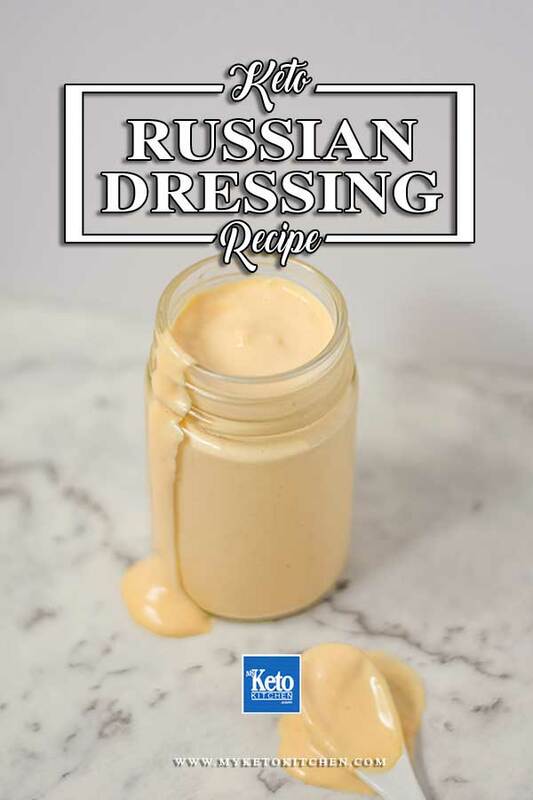 You might not know it, but this tasty sauce isn’t actually Russian! It’s an American sauce that been around since the 1900s, and doesn’t even feature in traditional Russian cooking. We use this delicious dressing drizzled over our Reuben Bagel, dip our Chicken meatballs in it or just pour over some salad greens for a tasty side dish. In a small bowl add all the Russian Dressing ingredients and whisk well. Place in the fridge and leave the flavors to marinate for an hour. Serve in your Keto Reuben or use as a dipping sauce. Keto Russian Dressing is a key ingredient in our Keto Reuben Bagel. This spicy, tangy dressing is a great condiment recipe to have on hand, as it's free from sugar and nasty fillers. 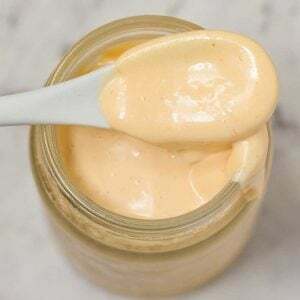 To make a larger batch of this Keto Russian Dressing recipe adjust the servings above.